Upon receiving a lifetime achievement award from the Screen Actors Guild on Jan. 27, Alan Alda, FCRH ’56, delivered a poignant speech about his lifelong vocation and the healing power of empathy. As part of his introduction, Hanks presented a three-minute highlight reel of the actor’s work through the years. 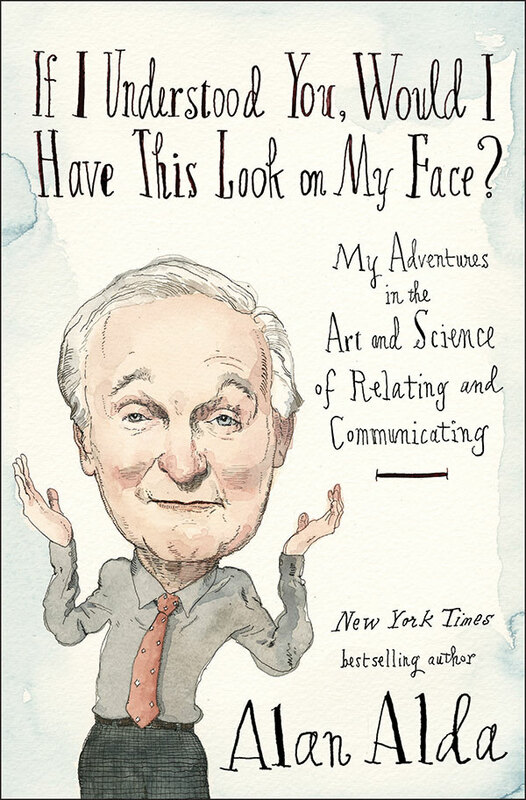 The clips, drawn from some of Alda’s most memorable film and TV appearances, showcased his everyman appeal, his wise and wisecracking wit, and his gifts for both comedy and drama. “You know, it’s really hard to describe to you what it feels like to look out and see my fellow actors—my colleagues, my heroes—welcome me up here like this. It’s an extraordinary feeling,” Alda said upon receiving the SAG Life Achievement Award. 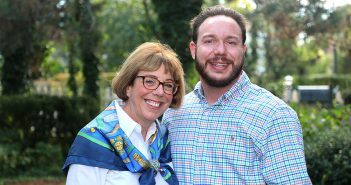 “When we get a chance to act,” he said, “it’s our job, at least in part, to get inside a character’s head and to search for a way to see life from that person’s point of view—another person’s vision of the world—and then to let an audience experience that. For Alda, who turned 83 on Jan. 28, that means continuing to act, both on TV (most recently in Ray Donovan) and in films. After graduating from Fordham with a degree in English in 1956, Alda joined an improvisational theater company and later worked on Broadway and in Hollywood before landing the role for which he is perhaps best known. 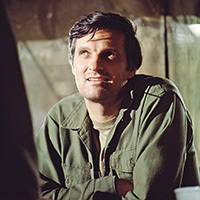 In 1972, he was cast as Captain Benjamin Franklin “Hawkeye” Pierce, the cocky and insubordinate but brilliant and beloved Army doctor in the TV show M*A*S*H—the long-running anti-war comedy series set during the Korean War. For his work on the show, Alda earned five Emmy Awards in 11 years, three for acting and one each for writing and directing. He is the only performer to earn Emmys in each of those three categories for work on the same series. More recently, Alda earned another remarkable distinction: In a single year, 2005, he was nominated for three major awards—an Oscar (for his role as a corrupt U.S. senator in The Aviator), an Emmy (for his turn as a presidential candidate on The West Wing), and a Tony (for his work in the Broadway revival of Glengarry Glen Ross). That’s something only five other performers have done. But Alda one-upped them—in 2005, he also published the first of his three bestselling books, a memoir titled Never Have Your Dog Stuffed, and Other Things I’ve Learned. He has received numerous awards for his work in communicating science, including the National Academy of Sciences Public Welfare Medal. Fordham has honored Alda on several occasions, inducting him into its Hall of Honor in 2012 and presenting him with an honorary degree in 1978, when he delivered the commencement address.